Situated in the countryside, La Tienda will appeal to clients wanting to stay in a typical Canarian property and sample local village life, an ideal choise for those wishing to escape and relax in peaceful suroundings. The accommodation comprises of one double and one twin bedroom, a bathroom and open kitchen complete with oven/hob, microwave and fridge/freezer. There is also an open plan lounge with dining facilities that benefits from satellite, (limited), TV and Hi-Fi system. Outside the villa is complete with its own private plunge pool, barbecue and patio furniture. 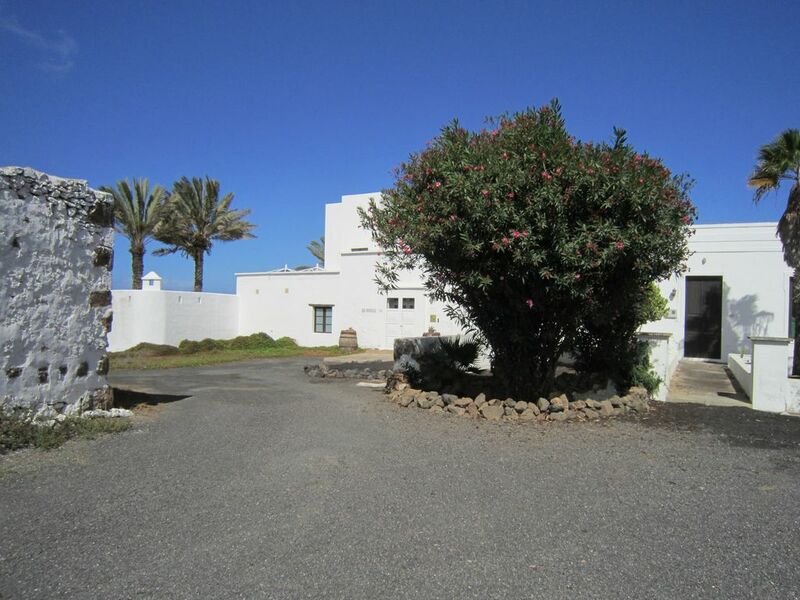 The three villas are part of a large Canarian Country House. La Bodega was an original wine press and store, La Tienda (the Shop) was originally a shop, and El Almacen (the store) was originally a store for the country house. All the villas retain much original character and charm and have an attractive combination of modern style and features. La Bodega is the largest of the three villas in access of 120 sq m, and has a heated swimming pool and whirlpool (heated 52 weeks of the Year). The spacious area around the pool is private as it is walled. La Tienda and El Almacen are situated next to one another, but private with walls around their sun terraces both containing plunge pools. La Vegueta is a small peaceful village in the countryside ,and is fairly central in the island. The nearest beach is at La Santa. The area is recognised for good wine that is produced in the volcanic countryside, and you can sample this in the local bar with Tapas. The village has a small shop and restaurant close by. Access to the large wine growing area La Geria and Fire Mountain is easy by car, and the main town Arrecife is only twenty minutes away. About five minutes away is the village of Tinajo, which has a Supermarket with fresh fruit and vegetables, meat and fish, a bank with cash machine, clinic, chemist, Internet cafe, bakery, coffeshop, bars and restaurants. Preise für Lastminute anfragen. Mietpreise pro Ferienhaus bis 4 Personen, inklusive Handtücher,Bettwäsche und Endreinigung. Minimum Aufenthalt eine Woche. Bei kurzfristiger Buchung ist auch ein minimum Aufenthalt von 4 Tagen möglich. Bei Buchung bitten wir Sie um eine Anzahlung von 20%,die Restsumme kurz vor ihrer Anreise. Auf Wunsch stellen wir gerne ein Esspaket bei der Ankunft zur Verfügung. Kosten 25.-Euro. Bei der Buchung eines Mietwagens sind wir gerne behilflich. Das Auto steht am Flughafen für Sie bereit. Preis pro Woche zum Bespiel: ab 120-Euro inklusive Steuern und Vollkasko.